Call for a no-obligation, confidential chat directly with one of our lawyers. 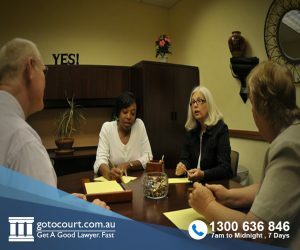 For expert advice and strong representation call Go To Court Lawyers Bunbury on 1300 636 846. Bunbury Magistrates Court operating hours are 8:30am to 4:30pm Monday to Friday. The Bunbury Magistrates Court is located at 3 Stephen Street Bunbury, the nearest intersection is Stephen and Victoria Streets. If you are using public transport, Bunbury Train Station and main bus terminal is 3.5km from the Bunbury Magistrates Court with buses to the courthouse leaving every 20 minutes. Bunbury is 175 kms south of Perth and has a current population of 70,000 people. Bunbury is located near the mouth of the Collie River and has one of the Western Australia’s busiest sea port. Quick, confident and empathetic. Reassuring. A great service. Thank you.